Want to get away for a quick holiday with fresh air, plenty of exercise, good craic and even better company? Opt for one of the many walking festivals that Ireland has to offer. Home to luscious green valleys, shimmering lakes and striking coasts, Ireland is a country best explored on foot, unobstructed by a windshield of a bus or a car. Get together with new mates that enjoy a good trek as much as you and embark on a gorgeous journey with some of the best walking festivals in Ireland. Located on the magnificent south-west coast, the Dingle Peninsula is a gorgeous area filled with ancient heritage, mountainous terrain, dipping valleys, and an incredible coastline stretching for miles. Rich in stunning views and ancient archaeological sites, Dingle boasts some of the best walking trails in all of Ireland. 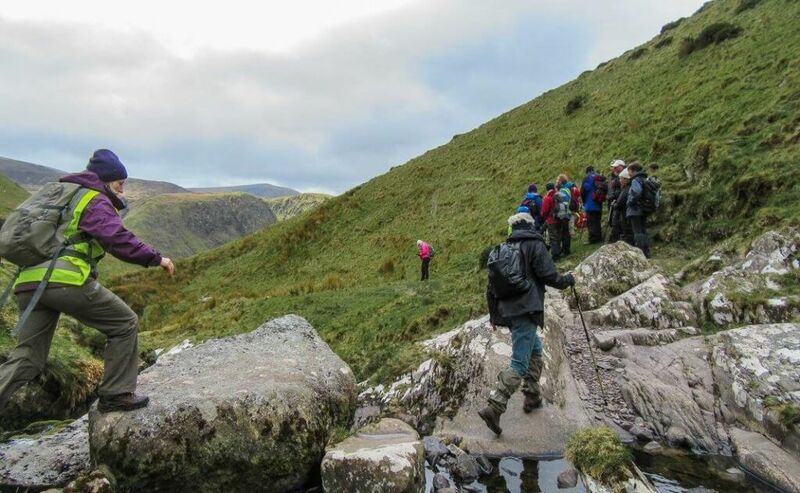 During the Dingle Walking Festival, walking routes will include Pilgrims Way pre-dating Christian Ireland and Ireland’s Holy Mountain, Mount Brandon. All walks will be led by experienced locals, giving you a true taste of Ireland. Find out more at Dingle Walking Festival. 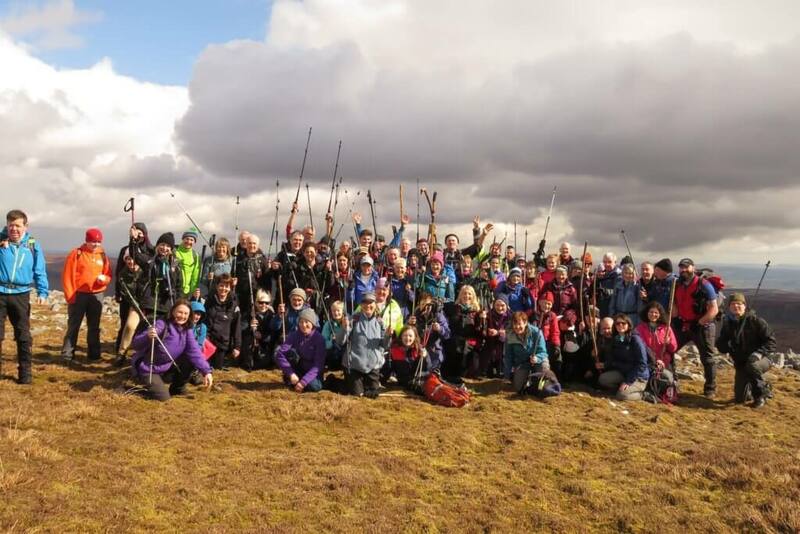 Ardara’s Walking Festival will have everything from short strolls to strenuous hikes, all in the spirit of stretching your legs, meeting new people, having great conversations, and enjoying all the Ireland’s landscape has to offer. Each day, participants will get to choose between two different walks. 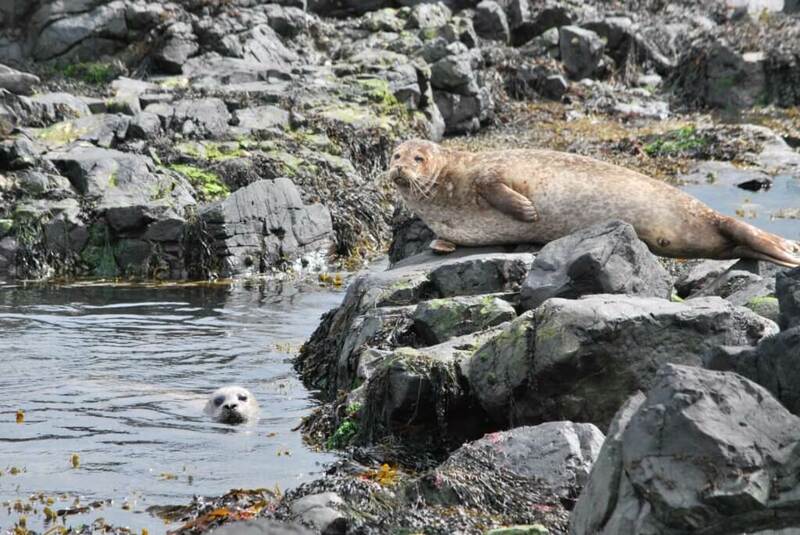 On Saturday, there will be a choice of two different, stunning coastal walks – Walk Port to Maghera, or Walk Port to Glenhead. 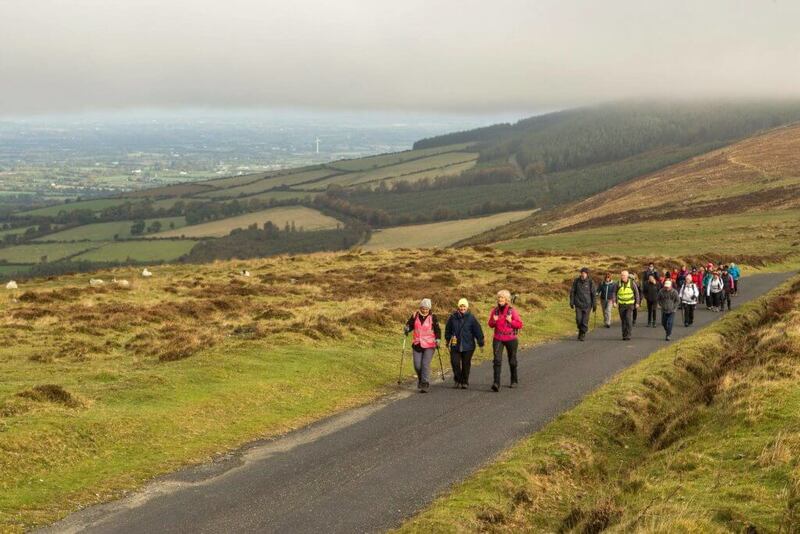 On Sunday, walkers can either hike Sliabh Tuaidh or walk Granny Glen. Appropriate walking/hiking gear is required. Find out more at Ardara’s Walking Festival. Take a break and finally let yourself unwind this year at the North Leitrim Gens Hill Walking Festival. 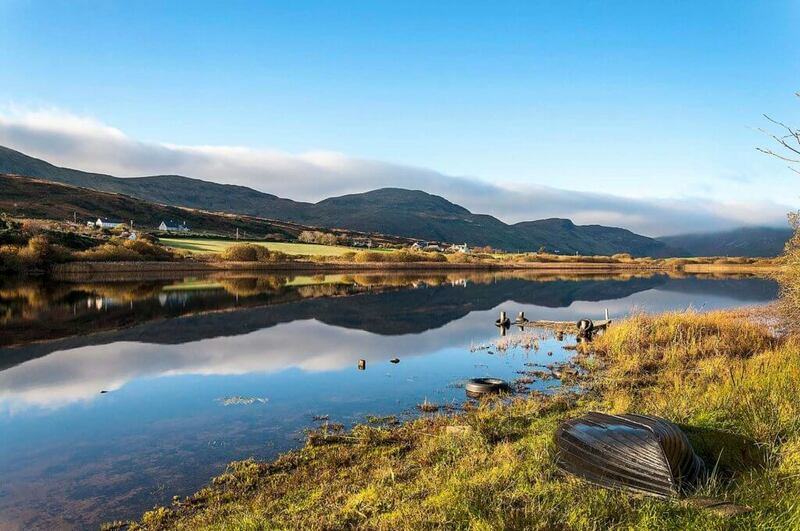 Take time to rejuvenate as you escape into the enchanting Glenade Valley as you listen to folktales of a lake monster that lies in the Glenade Lough. 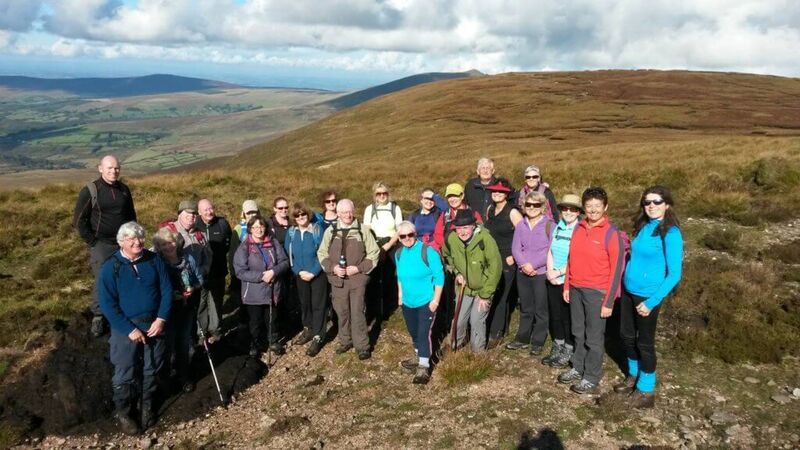 Holey Soles Hill Walking Club invites you to join some great company on treks along the Glenade Escarpment as well as the Arroo Trail, the Cliffs and Lough Aroo. Fees include transport to and from the walking locations, tea, coffee, scones, and registration for both days. After the walk on Sunday, participants will be treated to home-made soup to warm them back up. Find out more at The North Leitrim Gens Hill Walking Festival. Leenane is situated on the edge of Killary Harbour and surrounded by gorgeous mountains on all sides. 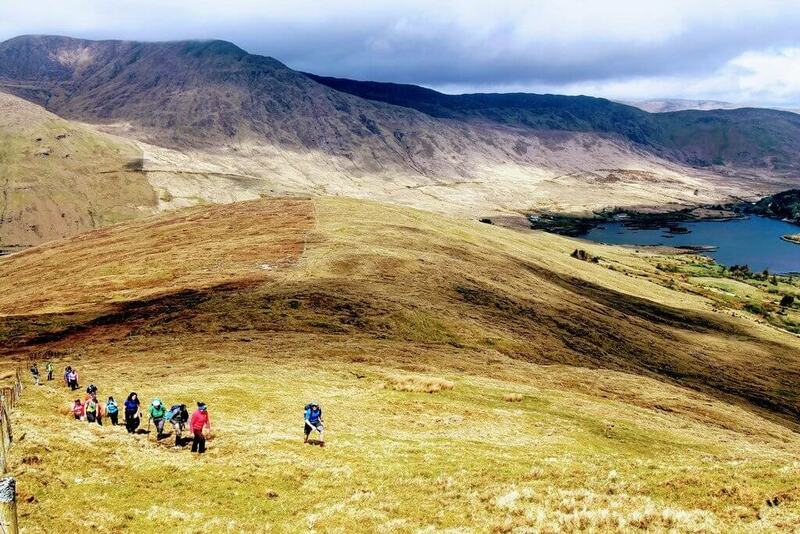 The Connemara Mountain Walking Festival has been designed to suit all levels of walkers from casual strollers to mountain trekkers. During this two day events, walks will include Mweelrea, Benbaun, Sheefry mountains, Maamtrasna, the Western way from Mayo into Galway and the Killary Fjord Famine Trail. Each walk will be led by a qualified guide, and, sometimes, the local farmers get involved by leading the hikes as well, sharing their knowledge of folklore and history of the land. Transport to and from the hikes will be provided as well as tea/coffee at local businesses at the end of each day. The evenings of this festival are full of free entertainment based in Leenane Hotel, including live music and lectures. Find out more at Connemara Mountain Walking Festival. 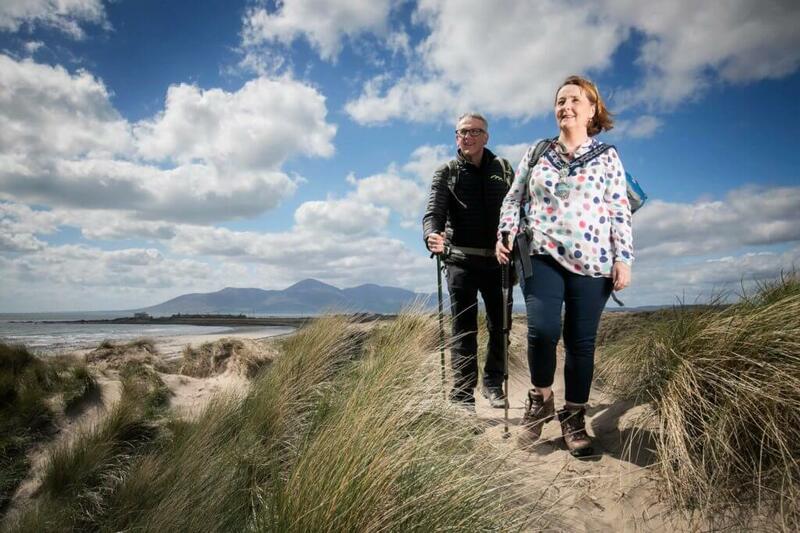 The Mourne International Walking Festival gives walkers of all levels of fitness incredible routes through the Mourne Mountains. Over three days, participants will choose routes ranging from 10k to 40k where they will encounter the gorgeous scenery of the Mourne Mountains and the surrounding countryside. Walking paths are self-guided and fully waymarked. Hikes on Saturday and Sunday are usually are usually strenuous mountain hikes, but there are also less taxing alternatives if needed. This festival offers an amazing chance to connect with like-minded people, make some new friends, and have some great craic along the way. Dinner will be provided on Saturday night. Find out more at Mourne International Walking Festival. The pilgrimage to Croagh Patrick is one of the most ancient practices in Ireland. 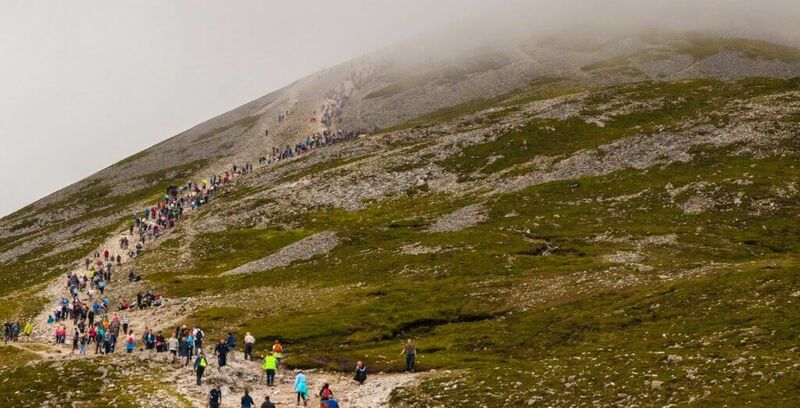 Each year, up to 20,000 people gather at Croagh Patrick to hike to the top of the mountain during “Reek Sunday” to honour St. Patrick, who had fasted atop the mountain for 40 days in the year 441. West Cork is home to some of the most breathtaking landscapes in Ireland. With its shimmering lakes and dipping valleys, it’s hard not to want to spend a weekend exploring all that it has to offer. 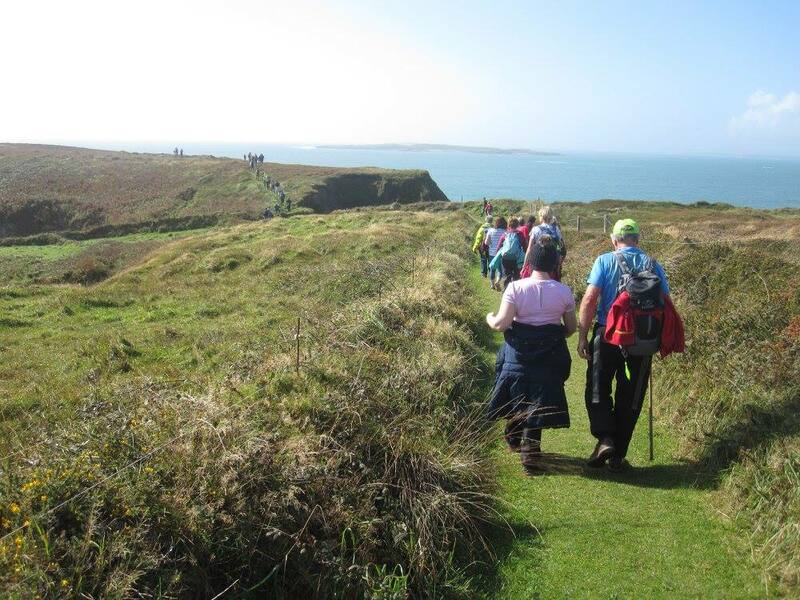 The Skibbereen Walking Festival celebrates this gorgeous land with guided walks along quiet country roads and trails for walkers of all abilities. There will be a total of six walks from Friday until Sunday, taking participants to sights such as Long Island, Schull; cliffs paths to the Beacon; the ancient history and archaeology of Lough Hyne, including Bronze Age artefacts and monuments, Holy Wells, coffin stones and castles; Castledonovan castle; and much more. Prices for walks vary based on which walks you choose, and include bus transfer, ferry transfer, and tea/coffee. For the full information on each of these walks, refer to their brochure. Find out more at Skibbereen Walking Festival. At the Nire Valley Walking Autumn Walking Festival, you will spend a wonderful weekend filled with brilliant walks, excellent conversation, and fantastic local guides that will entertain and inform all along the way. This two-day event has a multitude of walks that you can choose from based on fitness and ability. Saturday walks will include The Four Peaks Walk (15kms), the Knocknaree/Knockanaffrin Loop (12kms), Siulóid as Ghaeilge Gleann na hUidhre (3 hours), and a walk that follows the ancient funeral path of Boithrín na Sochraide, returning via the Sgillogue Lakes (3 hours). Sunday walks include Leacht na Frankee to Knocklisheen Walk (ascending Leacht na Frankee and down to the ancient village of Glenary, 12km), Traditional Nire Valley Walk (10km), and Deerpark Loop (a very historical walk taking in the Old Mill, Lord Ashtown’s Estate, the Soup Kitchens of famine times and the ancient burial grounds of Cillsiogáin). At the end of the day on Saturday, guests will be treated to a festival dinner and traditional Nire Valley entertainment. Participants must register beforehand, and proper hiking gear is essential. Light refreshments will be offered after the walks. Find out more at Nire Valley Walking Festival. Carlow is a spectacular destination for a walking festival – especially in the crisp days of autumn. The Blackstairs Mountains and the River Barrow provide a beautiful backdrop for a range of walks that are suitable for all levels of fitness. The Carlow Autumn Walking Festival is perfect for walkers who want to come and enjoy mountain treks, woodland strolls, or riverside walks along the lush landscape. Knowledgeable guides will take you on your walks. There are also a slew of other family activities available for you to enjoy: a safari trail on the River Barrow, bike rentals and tours, canoe/kayak rentals, and boat rides. Find out more at Carlow Autumn Walking Festival. The Wicklow Walking Festival (two-days) offers scenic walks over two days along everything from woodlands to rolling hills to mountain climbs. Experience the thrill and beauty of Wicklow Mountains National Park as you meander and hike along its lush peaks and valleys. Each walk is led by an experienced guide who will have information on the local history, flora, and fauna. This weekend offers a wide selection of walking experiences from which you can choose, including Leinster’s highest peak, Lugnaquilla (925 m); a night hike along Glendalough, the Spinc and Lugduff; Derrybawm and Mullacor Mountain; Wicklow Way; Scarr Mountain; Kanturk; and more. Prices are based on which walks you chose (A, B, or C walks), and all participants must be well prepared in terms of clothing and equipment. Find out more at Wicklow Walking Festival.